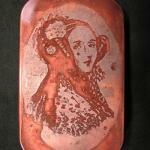 The basic alchemy for kitchen dyeing is as follows. You'll need one or more of the previously mentioned food items (I save lots of onion skins or old tea bags in Tupperware as I use them), a big pot that's heat-safe, water, a stirring implement, a stove, and a light-colored garment for modification. Starting with something about which you're not obsessively passionate, like a handkerchief or an old undershirt, can be an excellent failsafe if you're concerned about making a mistake (though I thoroughly encourage "mistakes"–that's how you get the coolest clothes!). You will also want to stick with garments that are mostly of natural fibers like wool or cotton–synthetics don't always take too kindly to natural dye. It's important to rinse out your fabric prior to dyeing in order to release dirt particles hanging in the fibers, and to help open their cuticle. I always run my clothing items through a hot bath with a concentrated detergent called Synthrapol (Dharma Trading also makes a Professional Textile Detergent that is more earth-friendly, but I haven't tried it yet). Synthrapol or its ilk is important if you want an even and consistent color, and best of all: it's super inexpensive, and you only need a capful to do a small tub/sink of clothes. Some naturally brilliant vegetables like beets stain your hands and the Formica, but oddly enough, won't leave much color on fabric without a mordant. A mordant essentially opens up the fabric and allows the dye to cut into the fibers, giving it permanence. 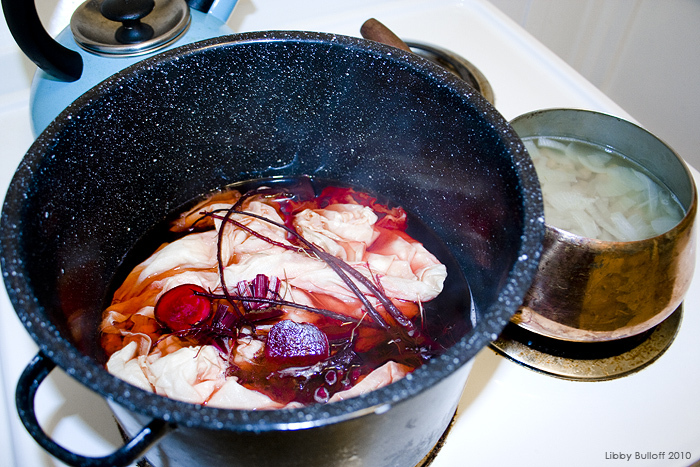 If you decide you want to use beet bits to make dye, you'll likely want to stick with wool fabric of a light color, and you'll need to soak the cloth in a mixture of half vinegar, half water before tossing it in the dye bath. After rinsing our your clothing items, prepare your pot on the stove with enough water to cover your fabric. Begin to raise its temperature, and then add your onion skins/turmeric/old tea leaves/etc. Obviously, the more skins/spices/tea/etc. you toss in, the more brilliant the color, and don't fear mixing items. After the water heats, toss in your garment and agitate with your stirring implement so that the fabric gets evenly covered. You'll want to bring the temperature up to just under a boil, and let the fabric simmer for an hour, watching it carefully and poking at it from time to time to make sure the stain is consistent. The, shut off the heat, and let the garment cool in the pot overnight (I find that this really helps the fabric inhale any color remaining in the pot). Rinse the clothes out the next morning in cold water (it helps set the color), brushing off any spice residue or stray tea leaves. Hang dry, and iron if you see fit. 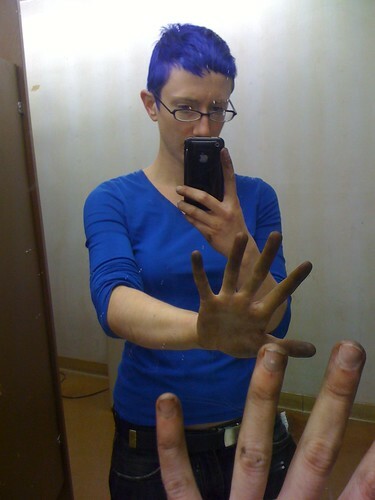 You can try experimenting with gradated dip-dyeing techniques, tie-dye, or shibori. I just love the sepia tone that old tea leaves give to my once snow-white cotton corset, and the gorgeous monk-friendly shade of saffron that onions and turmeric lend to my hand-made tattery muslin collar. If you have any tips regarding natural dyeing, do leave them in the comments! Thank you. 1 Info obtained from The Ecologist.